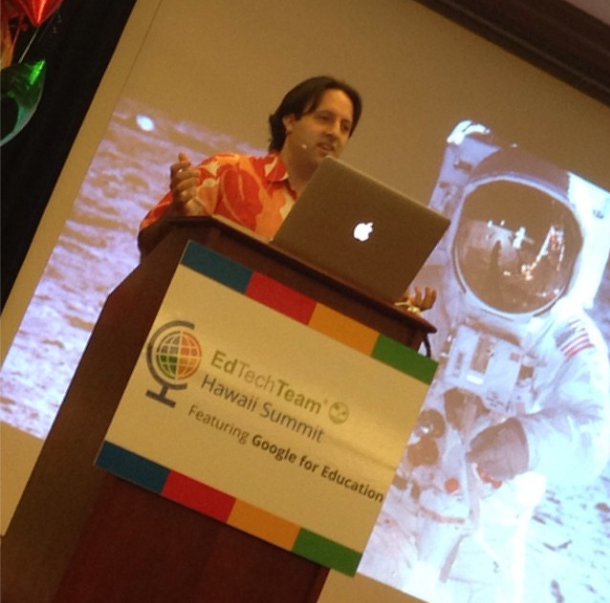 Yes, +EdTechTeam's Second Google for Education Hawaii Summit was FUN! 1. I learned about how education can and should be 'uncomfortably exciting'. This is a new phrase I learned from Googler (and former Hawaii resident) +Evan Rapoport, via +Larry Page. I think I'm going to use it. Wouldn't it be fantastic if we could get our students uncomfortably excited about learning? 2. The majority of the attendees were public school teachers. I was thrilled to find out that the majority of the 500+ people who attended the summit were public school teachers. Shout-out to all of these educators wanting to make a difference in their schools! Attendance almost doubled from last year's summit. +Brendan Brennan commented that he would like to see 1000+ next year. Now wouldn't that be something? Hale Kula Elementary School represents! The wi-fi was smooooooooooth and blazing fast at 'Iolani School! A big mahalo to Jim Crum and his crew for an outstanding job. Here's a great article about Jim in the 'Iolani student newspaper: The IT man: Jim Crum hopes to boost information technology at 'Iolani. I hope next year's summit will be at 'Iolani again. 4. Some of my #pln friends were different. It was so much fun to meet members of my #pln in person! +Brendan Brennan and +Lisa Nagamine are much taller than I imagined, and based on +Rachel Armstrong's wonderfully strong voice on hangouts, I expected her to be less petite than she is. Humor is so important for engaging students I think, and Jim, also known as Mr. Sill, made us laugh often. I love how Mr. Sill weaves his filmmaking skills into his presentations, too. And his Sillfie Fun! page is pretty awesome. #sillfie / #selfie, get it? 6. 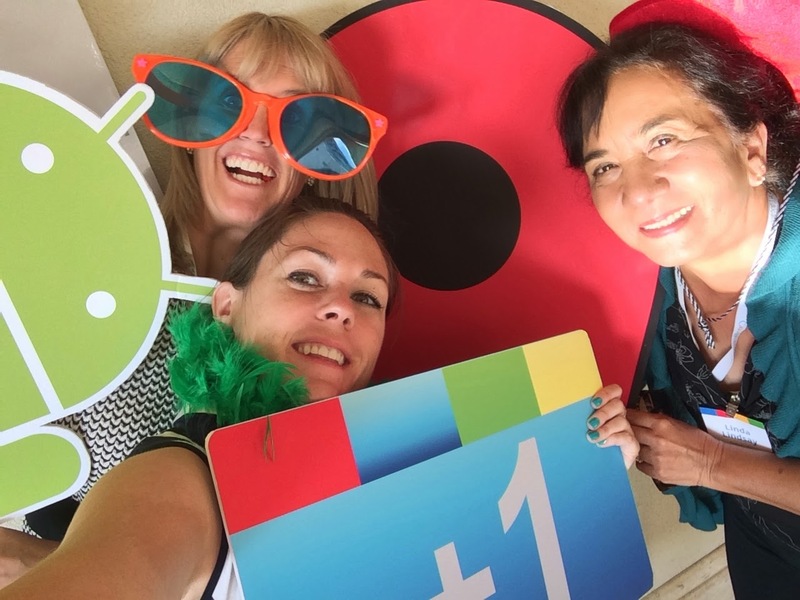 Three Hawaii Google Certified Teachers gathered together in one room to learn from each other. 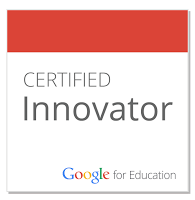 GCT +Liz Castillo from the Google Teacher Academy 2012 Mountain View cohort and +Michelle Carlson Colte from the 2013 Sydney cohort attended my Curate and Organize Like a Ninja, in Chrome session. I was so thankful for their support. 7. I went away to meet up with someone from home. 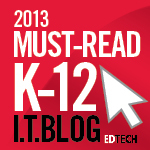 What did I learn that our faculty and students can use? 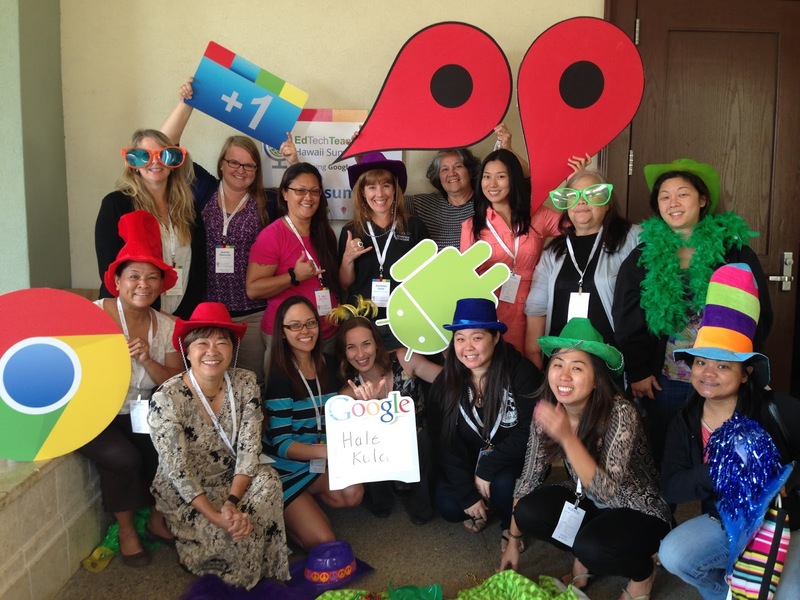 What does the future look like after the Hawaii #GafeSummit?